Yes! You saw it right, R O M A N C E With The Environment. Some might be confused about the event, especially on Valentine’s Day but but let's go through this idea together. Over the years, planet earth, our home environment has not been treated kindly by the people it houses. From improper dumping to tree felling, oil spillages to bush burning, gas flarings, noise pollution, water mismanagement, and many other problems. Indeed, the environment, our home, has been abused. We have all contributed to this abuse both our large scale and small scale activities. To some, the majority of these activities are done for the economical benefit of man and hence, can not be done without. Although I agree that many of these environmentally damaging activities have benefited the economy, I do believe that there are less environmentally damaging alternatives. 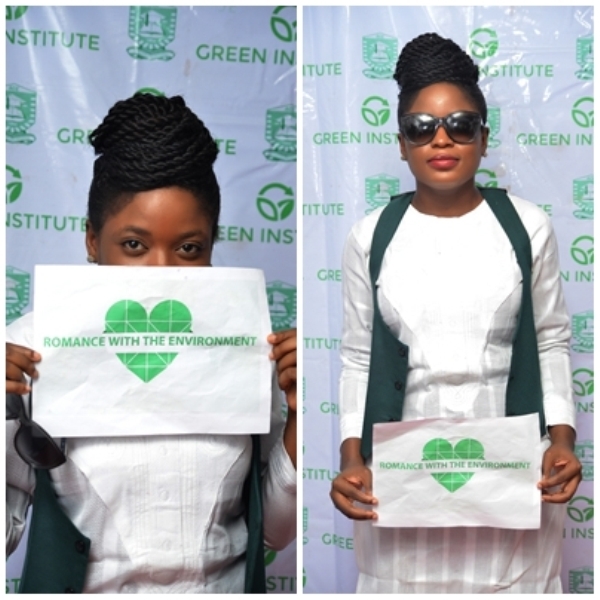 In the spirit of love and Valentine’s Day, The Green Campus Initiative Team, her members and other members of society, felt it sincere and right to spend their time with, and 'romance' with the environment on February the 14th, 2016. This was done to show our love for the environment and somewhat compensate the environment for the damages caused by anthropogenic activities, in their own little way. That was not the only part of the February 14th, Valentines Day event. Partnering with Kingdom Life International Ministry (KLIM) led by Rev. Ken Igbinedion, the ambassadors and other members of society were hosted to an evening picnic at the Adeyemi College of Education Guest House, Ondo , tagged, 'Love Affair'. With spoken word performances by Olayinka Ojo; UN Spoken Word Contest, solo drama performance by Samuel Bliss, choreography by The Chosen Choreographers, and the Green Anthem performance by the Green Ministers, the evening picnic was rich, relaxing and fun. To crown the activities of the day, the Founder of the Green Campus Initiative, Adenike Akinsémolu gave a short talk, as it was not a day for monologues, about the love for environment and the love of self. A lot of important knowledge was gained from the talk including the importance of seeing every day as environment's day, conserving resources, exercising and practicing self care. As usual, Green Campus Initiative events are not complete without the smiles of participants during photography sessions. Kudos GCI! Older PostLittering and Improper Waste Disposal: To allow to continue or not?